During the last week of April I had the privilege of dimensionally surveying the birthplace, memorial and gravesite of Dr. John Rae. As an Associate Professor at Heriot-Watt University in Edinburgh, my area of research interest is in the use of advanced digital technologies to precisely record and visualise the built environment. 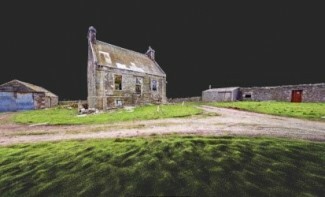 Not only was the project an opportunity to return to the Orkney islands and test out the latest survey equipment, more importantly, I had the unique opportunity to stand on the property of one of the most important figures in Scottish and Canadian history. The foundation of the project is a device called the terrestrial laser scanner. The laser scanning technology has the ability of thoroughly and objectively recording a site or building down to a sub-centimeter level. Although considered state-of-the-art, the laser scanner is extensively used in petroleum and gas industry as well as police forensics. 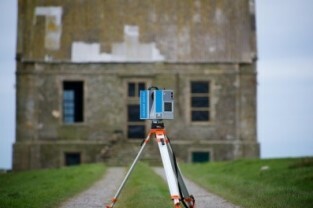 From my research perspective, the laser scanner is ideally suited to record complex heritage sites - where the buildings are worn, shifting or in need of repair. The acquired data is like a 3D snap-shot, and can be used to assist in future conservation and restoration of a site in the creation of highly accurate architectural drawings. The same data can also be used to generate 3D images and animations for an exhibition or the web. The scanning system used on the Rae project really is revolutionary. The Z+F laser scanner is exceptionally fast, highly accurate and has an integrated high-dynamic range (HDR) camera. The Hall o' Clestrian was thoroughly scanned inside and out over a two-day period - approximately 50 scans in total. It took approximately 15 minutes per scan, with the scanner acquiring an incredible 1,000,000 dimension points per second. This information is then integrated with the HDR photography to provide a nearly exact 3D architectural record of the building's current condition. The ability to 'capture' 1/2 a billion dimension points over two days would have been impossible even 10-years ago. The images associated with this article are actually the 3D point cloud data. There are so many coloured dimension dots, that you can clearly make out the architecture, from the windows to the mortar. Once post-processed, the 3D scan data will be forwarded to the Rae Society with the idea that it is used to conserve and promote the Hall. The same technology and approach was incorporated at the Rae memorial at St. Magnus Cathedral. The laser scanner was used to not only record the memorial, but also the entire interior of the Cathedral. As a researcher, I believe that it is important to record the relationship between the heritage object or building and it's adjacent context. Both the interior and exterior of the Cathedral was scanned - thankfully under perfect weather. Throughout the scanning of both sites I was joined by a highly entertaining television team from the Discovery Channel Canada. Based in Toronto, they recently produced an episode on the Franklin expedition and wanted follow-up with a broadcast on John Rae. 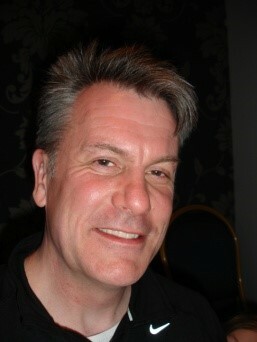 The episode will be aired later this autumn in the UK and internationally. Note: We hope to have more images from this project later.